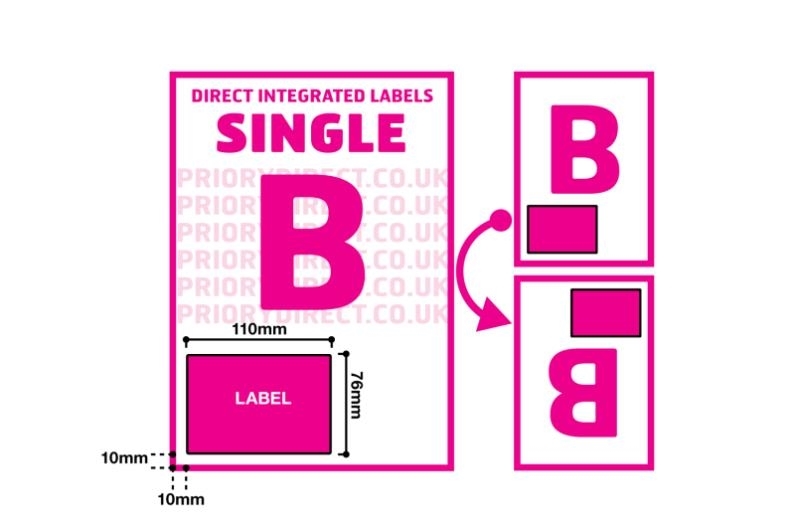 Packs of 100 sheets of ‘Style B’ our most popular single integrated label sheets, with a label measuring 110mm x 76mm positioned 10mm from the left and foot of the A4 sheet. This size and position makes the sheets suitable for use with most online retail channels and platforms. 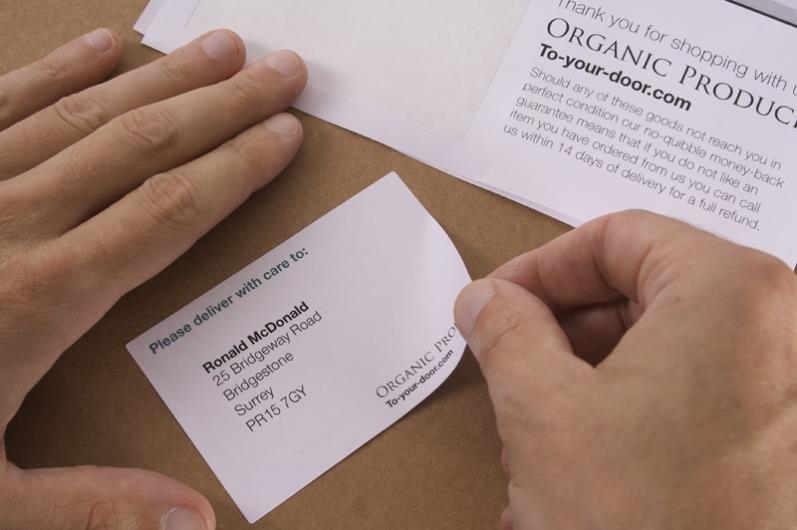 Print your customer despatch information in one pass on one sheet, with the despatch address on the label - there’s also room for PPI details –and the picking note and invoice on the sheet. Save time and reduce picking errors. 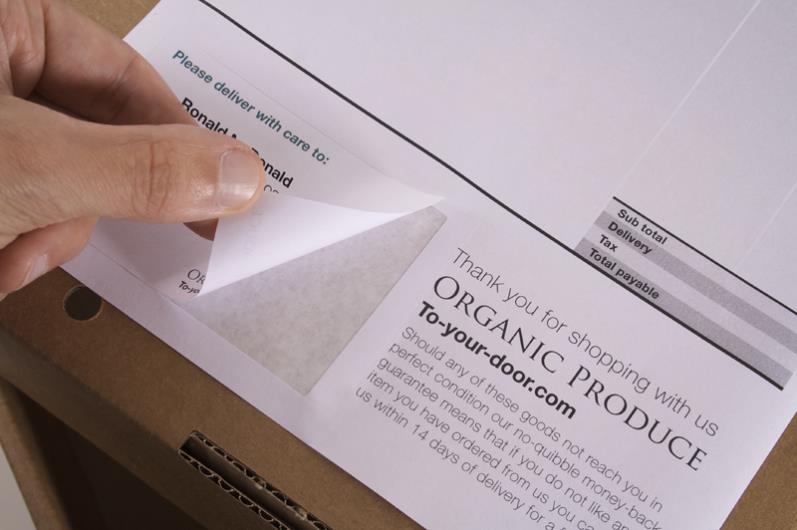 These integrated labels are made from premium 90gsm paper with a smooth white finish for a smart look, the labels stick to all normal packaging surfaces in all conditions.